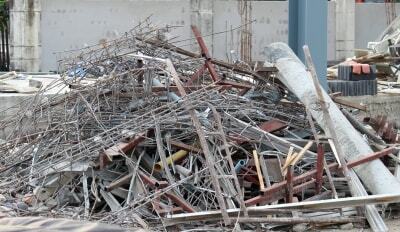 Inverrary Construction Cleanup Services you can rely on can always be found here at XS Trash! Our professional team will approach the job with a sense of dedication and pride. We work in a very organized and timely manner, and strive to help benefit our clients anyway we can. Our trucks help our clients save money in the large loads they are able to transport. Give XS Trash a call today to learn more information! Our trucks are 21 yards long and are the largest in the business making us unique compared to our competitors. When you choose XS Trash you only pay for what you trash. This is yet another way we are proud to help you save money. When you need Inverrary Consruction Cleanup Services, we are the ones to call. XS Trash is a full service clean up company that is dedicated to building a reputation as one of the best in the business. Our company is proud to have been serving Broward County for many years and we have plenty of experience in the Inverrary Construction Cleanup Services we provide. When it comes to residential or commercial construction cleanup we are experienced in all aspects. At XS Trash, we want to make the cleanup process as easy as possible for you. Our staff will do all the work so you do not have to. We simply show up to your site, get right to work cleaning, load our truck(s), and haul it all away. Our company, X Trash, is well respected in our field. We are dependable, afforable, and work all year long.